Dr. Claudia Mika studied Nutritional Science at the University of Bonn, Germany, and received her PHD in 2003. 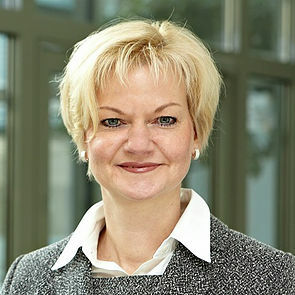 She gained extensive experience in the management of international projects, when she took up her position at the German Aerospace Center (DLR), a German governmental research organization. She planned, organized and evaluated international projects e.g. in Moscow, Russia, as a member of the “Head Down Tilt Study Group”. She further worked in space physiology projects like MIR’97 including the quality management and monitoring of standardized procedures for the astronauts on board. She held various positions at the Institutes of Aerospace Medicine, both at DLR in Cologne and at the Technical University of Aachen, where Dr. Mika also worked in the Clinic of Child and Adolescent Psychiatry and Psychotherapy. Today, Dr. Claudia Mika is the Managing Director of Temos International GmbH, a spin-off of the German Aerospace Center, DLR. Since 2004 she has been working on the Temos Certification Systems, assessing hospitals, rehabilitation centers and dental clinics worldwide according to the Temos quality criteria for international patients, developed together with leading travel health insurances and assistance companies. Due to the Temos Quality Certifications of internationally oriented medical institutions and supported by Dr. Mika’s consultancy work for the implementation of International Patients’ Departments in medical facilities all over the world she is very well grounded in medical tourisms topics. She has been working with more than 100 hospitals and medical facilities worldwide from Brazil to the Philippines. Dr. Mika is a certified auditor for ISO 9001. Her expertise in quality management and international health tourism is in great demand, not only among hospital managers and practitioners around the globe. Dr. Mika has been regularly invited to international Medical Tourism Conferences and advises different associations and governmental institutions regarding medical tourism issues. In 2012 she developed the guideline “International Patients Department Processes” for the Turkish Ministry of Health. In 2002, Dr. Mika received the “Young Researcher Award” of the European Space Agency. She held guest lectureships at PUCRS University in Porto Alegre, Brazil, and at the University Hospital in Aachen, Germany. Since 2007 she has also supervised several tele-education courses that brought doctors and medical students from various international universities together via videoconference. In 2011, Dr. Mika received the “High Potential Company Award 2011”, funded by the European Union. Since 2013 Dr. Mika has been appointed to be one of the judges for the International Medical Travel Awards 2014, 2015 and 2016, an independent and objective set of awards for the medical travel and tourism industry. Since January 2014 she is the Vice Chairwoman of the Diplomatic Council Healthcare Forum. Since October 2015 she has been appointed as a member of the Global Healthcare Travel Council (GHTC) advisory board, responsible for quality, training, education and ethics. The medical tourism market is an increasing but also challenging market. Patients have particular needs when undergoing treatment abroad. Pre-, on-site- and post-treatment take place in different countries and need to be managed to assure high quality and cost-effective medical care during all phases of the treatment process. The medical service structure and the operational and quality levels differ among countries depending on each country’s living standards, current regulatory, financial and organisational conditions. Moreover, quality is always relative due to the individual perception and culture and also due to the scientific or professional standards that are implemented. Furthermore, difficulties in international patient management arise as a result of cultural differences, language barriers but also legal issues, different understanding of medicine or an interruption of cross-border procedures, for example, in the frame of the provision of reliable information and documentation in the pre-treatment stage. The processes and procedures associated with the treatment of international patients need to be defined, implemented and realised in the frame of the healthcare facility’s Total Quality Management System (TQMS). General hospital accreditation systems are an excellent basis for the facility’s quality management but do not cover the quality criteria and respective management needed to map the international patient care cycle and associated processes e.g. before and after the treatment onsite. Proper management of international medical tourist services as demanded by specialized medical tourism certification programs can bridge the gap between the international patients’ demands and the hospital’s requirements for the provision of these services. At the end both sides will benefit by achieving their objectives.